Clip Labels for Education and send them in. Label points add up and allow us to "purchase" things from the Labels catalog for the school. 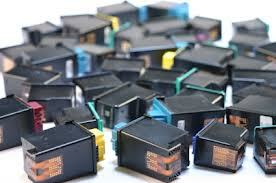 Bring in your empty ink jet and toner cartridges, and we will turn them into cash! Find the receptacle right inside the front vestibule at school. AmazonSmile is a simple and automatic way for you to support our school every time you shop, at no cost to you. When you shop at smile.amazon.com, you’ll find the exact same products and prices as Amazon.com, with the added bonus that Amazon will donate a portion of the purchase price to our school. Amazon gives us 0.5% of all your purchases! Shop at the grocery store in Key Center or Lake Kathryn? Send in your receipts to us and Food Market will give us 1% back! It's so easy!